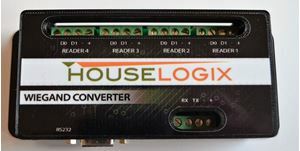 The HouseLogix Wiegand to Serial Converter allows connection of up to four Wiegand devices to be converted to one serial port. 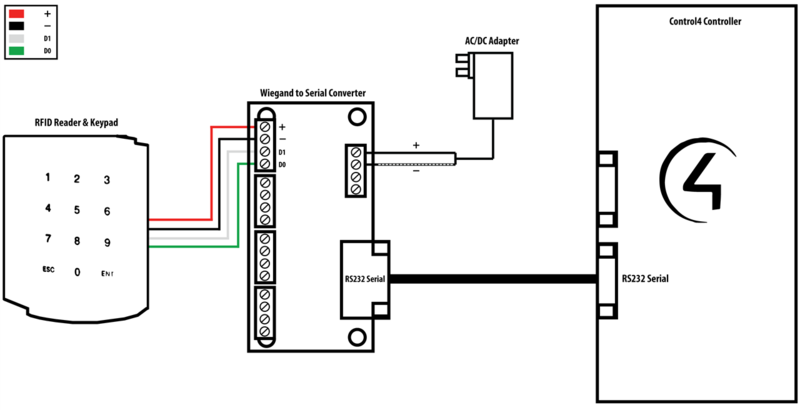 This Wiegand to RS232 converter is designed with four ports for taking up to 4 Wiegand sources using Wiegand 26 bit or Wiegand 37 bit format and converting it to a RS232 data stream at 9600 Baud. 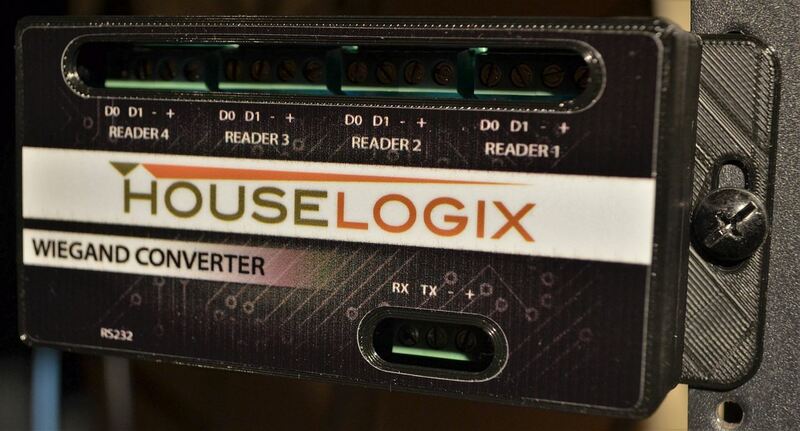 Integrated case mounting holes make it easy to install on a backer board or in a rack. This product is hardware only. 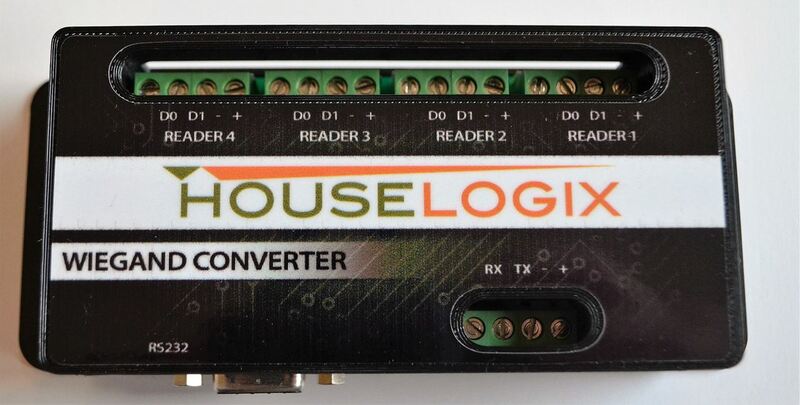 A Database software such as our Access Control Database Driver will need to be used in addition with this hardware. 'WIEGAND' connection bindings for devices that require it.